I could open this post up in two ways: both are true. 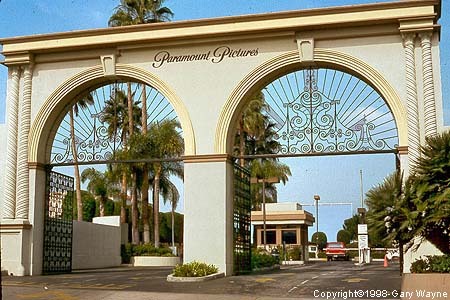 I swipe my gold badge to enter the historical grounds of Paramount. Palm trees, trailers and crewmembers paint the scene. I turn on Michael Bay Avenue, stages surround me. Grabbing a cup of coffee and a ride on a golf cart, I use my badge once again to enter the Editorial building, my building. I greet Editors for shows like Blacklist and NCIS. Mid-day I say hello to AD’s, possibly writers, maybe a producer. I grab an already cut grapefruit with a raspberry placed in the center of the half, and return to work. After breezing through emails and updating documents, I drive to Amblin, Steven Spielberg’s production company, and deliver the Director’s cut of Episode 204. After giving the receptionist an envelope I pass three Oscars modeling in a glass case…next to the camera that shot E.T. To exit Amblin, I press a button on a tree, and a wooden gate slowly opens. Life is truly a dream here in Hollywood. How did I get so lucky? My eyes adjust to my phone screen at 6:50am: eight Gmail notifications since midnight. I scroll through reading the subject lines….press snooze and hold off until 7am for emails. I stretch my sore legs and get ready another 12 hour (maybe more) mentally, physically exhausting day. Driving down Melrose I say, “thank you God for my car, thank you for giving me a job I truly have had as a dream….” my daily monologue. I turn off Van Ness into the parking garage, but am told the garage is full and I have to drive to the other one, located on the opposite side of the lot. Great. 20 minutes later frustration builds when I notice the only coffee available is Kerig, a type of coffee one should only drink while waiting at the car wash. I get to my desk. Its go-time: print-outs, passing out menus, picking up lunch, driving to drop-off drives, pick-up drives, countless runs to the Production office, updating distribution documents, phone calls, drafting several emails, backing up files from Editors…the tasks are endless. I return from bathroom breaks to post-its stamped everywhere on my desk with scribbled requests. In the span of five minutes I have requests to email our Avid company, order ink, drop off invoices at Accounting, update the department’s iCal and print out 10 copies of a newly updated document. Multi-tasking is crucial. I’m the only single person in the office, everyone else married. No one is even in their twenties. I work with all men so I have trained myself to move forward after every moment I typically would get emotional in. My superiors aren’t afraid to be deadpanning blunt with me. That’s this business though, “get it done.” Someone will raise their voice, but then 20 seconds later they’ll say, “Great job. Thanks love.” And leave. In the midst of being corrected, over-worked and under-paid, it’s easy to lose sight of the blessing a job is. When I moved to Los Angeles I spent everyday in a coffee shop applying to any job I could find in Entertainment. I applied to be a receptionist at Warner Brothers, an assistant editor, and the third assistant to a big-time producer. I never got an interview. I later went to the mall and applied at all clothing stores I liked. Thankfully, a week after doing that, I was given a job on an amazing show. Here I am now, a year later, working at Paramount. Not long ago I went to the parking garage, chatted it up with the Valet and learned he’s been trying for two years to catch a break as an Assistant and he took the Valet gig to network. Crazy thing is…someone is sitting somewhere hoping to get the Valet’s job so they can network. Another person is in Wisconsin dreaming of moving to LA and being the guy in LA hoping for the Valet job. No matter the position, another person is probably wishing they were where you are. 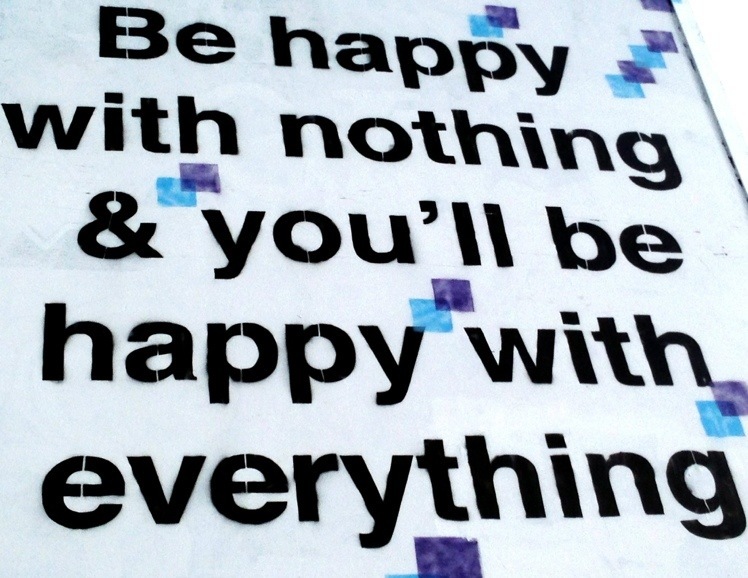 I try to keep this in mind whenever I’m frustrated with where I’m at, or what I have. Last year I tried to define the word ‘blessing’ and what it means to me. This is what I came up with: a blessing is something someone else wishes they had. Like, actually stop and think about it. EVERYTHING in life is a blessing. God is the One who gives us blessings, so, therefore, everything belongs to God. But seriously, no pressure….God has me. I’m going to shift gears for a second, but I promise it connects. I’ve been asked in recent months what I’m attracted to in a man. I won’t dive into what I am attracted to, but rather what I’m not attracted to. I’ll connect the dots…when I’m not thankful for anything God has given me, I’m all three of those qualities I dislike. Pride (in the unhealthy form) is all about self-ownership and thanking God for yourself and your amazing abilities, not Him. Selfishness: wanting to be outside of where God wants me. Example: longing for a hard job HE GAVE ME to end. I’ve been given an incredible life, a life full of things others only dream about. But, sometimes, I simply want the grass my neighbors have, something we’re all guilty of. Some student at Yale wants nothing more than to fly to a cabana in Vegas while the guy in the cabana in Vegas is dreaming of getting into Yale. Let us be reminded of this: everything in our life is a blessing, and it’s our choice for how we respond. I used my work as an example and can view it with my first opening of this blog, a mindset of complete thanksgiving….or like my second opening, lens that ignore all fun aspects and focus on the annoying parts. Both sets of glasses are always going to be on the case, and we can choose one or the other, always. But God wants us to be reminded that everything is from Him, and when we are given much, much is required. Moreover, when we have much, we must have a heart of thanksgiving. I wrote this blog because in the midst of my crazy amazing blessings I’ve been given, it’s easy to lose sight and want another blessing. I felt led to write this because while I hope this was encouraging to you, it was for me too– being reminded that everything is a blessing and therefore, should be treated with a grateful, thankful heart.